Describe the services to use in a services architecture (SOA) with the help of the SoaML service interface diagram. 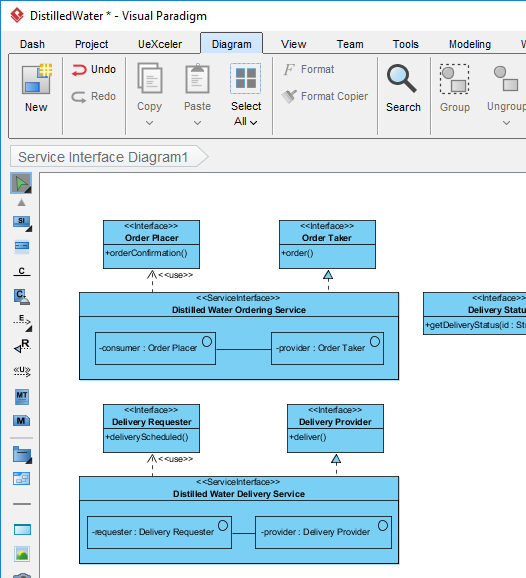 Service interface diagram is a type of SoaML diagram specialized for the definition and specification of both simple interface and service interface. It enables to graphical representation of interface required and used by a service. Document the terms, conditions and choreography that participants (of service) must agree to in order to enact a service, using the SoaML service contract diagram. 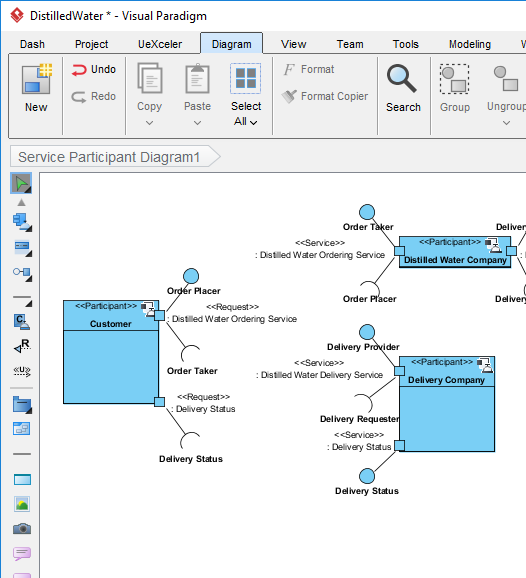 Modelers usually combines the use of sequence diagram and activity diagram in representing the choreography of a service contract. Model the person, organization, system or anyone who take part in a services architecture using a SoaML service participant diagram. Modelers use service participant diagram to represent these participants as well as the interfaces they required or provided in accomplishing services. Understanding how people, team and organizations work together for a goal enables them to work more cohesively using services, without getting overly coupled. 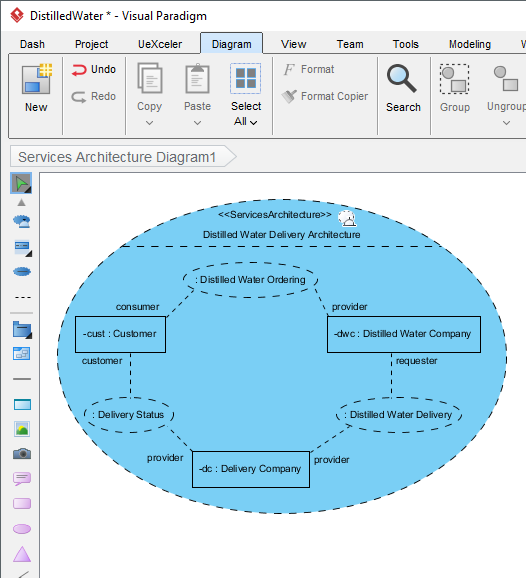 SoaML enables modelers to build a services architecture model for this purpose, and services architecture diagram is the SoaML diagram that represents services architecture. Organize the content of SoaML model with SoaML service category diagram. 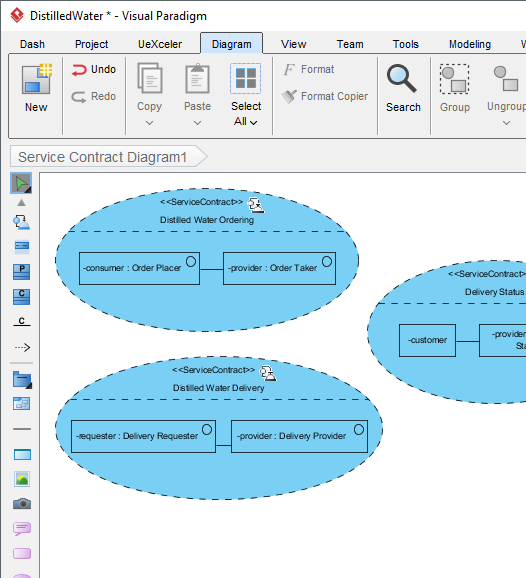 Service defined in service interface diagram can be re-used in other SoaML diagrams. Re-usability improves modeling efficiency and to ensure model consistency.